The ignition interlock device (IID) has long been required for a DUI conviction in Scottsdale, AZ regardless of whether the DUI involved alcohol or drugs that is until March 24th, 2016 when Arizona’s SB 1228 was passed. Under Arizona’s SB 1228 you still may be required to install the IID after a DUI conviction, however, the presiding judge now has the option to make a discretionary decision based on the case. The ignition interlock device currently is only able to detect alcohol on a person’s breath when exhaled. For those arrested for a DUI under the suspicion of using illegal drugs such as marijuana or prescription medication, the IID is currently unable to detect those substances. In those instances where drugs were involved, and you were charged with a DUI the IID may or may not be required. What if I don’t legally own a motor vehicle to install the IID on? Please note that in situations where you do not legally own a vehicle, or you simply do not intend to operate a vehicle during the suspension your driving privilege will remain suspended or revoked until you install an interlock on a vehicle in order to reinstate your driving privilege. What happens if I’m required to install an ignition interlock device? For twelve months if: (a)The person is convicted of a violation of section 28-1381 or section 28-1382, subsection A, paragraph 1 or section 28-1383, subsection A, paragraph 3, subdivision (a). The installation of the Ignition Interlock Device (IID) begins from the date that your driving privilege is revoked or from the date you receive the report of conviction, whichever occurs later. If I have to install the ignition interlock device can it be removed early? If you are required to have the IID installed, the judge and/or MVD will not order it removed because it is a pain or too expensive for you. You did not have a damage or injury accident. If you have been charged with a DUI in Scottsdale, AZ you should without question hire an experienced DUI Defense Attorney. With some of the harshest penalties in the nation, a DUI attorney may be able to get your sentence reduced or better yet dismissed. Research DUI Lawyers Online. Many reputable sites such as AVVO.com, NOLO.com, and SuperLawyers.com can offer insight to their experience and capabilities. 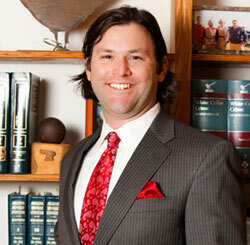 Hire a DUI Lawyer who has handled numerous cases and has Jury Trial experience. If you would like to learn more about the IID or you’ve been charged with a DUI in Scottsdale, AZ, contact the Law Office of Aaron Black or call 480-729-1683 for a free consultation.